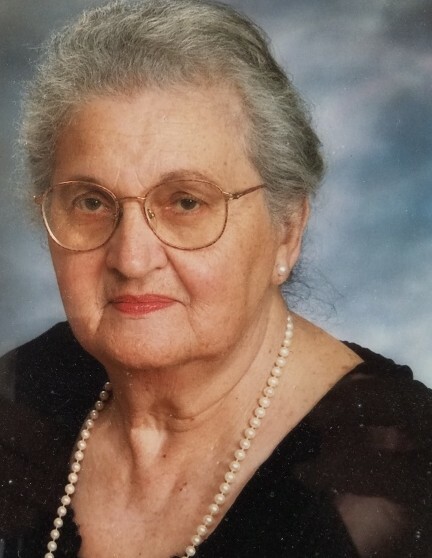 Domenica Rossi, 98 (nee Buontempo) also known as Minnie and Minica, died peacefully on August 18, 2018 at home in the arms of her son Thomas and her long time aide Lili Napolitano. Domenica was born and raised in Newark, NJ the daughter of Sicilian immigrants Gregorio Buontempo and Eleanora Castiglione. She graduated from West Side High School in 1936 at the age of 16. She entered the garment industry working as a seamstress and eventually became a forelady at Sherman Manufacturing Company in Orange NJ. During WWII, she met her husband Antonio Rossi who at the time was a soldier in the United States Army. They were married on Dec. 8, 1943 at St. Rocco's Church in Newark. Immediately following the war, they established residence in Newark before moving to East Orange in 1949 where they would raise their two sons Anthony and Thomas. In 1975, they moved to West Orange. She then moved with her son Thomas to Roseland in 2010. In 1963, Antonio and Domenica established the Rossi's Miniature Golf and Bicycle Rentals in South Seaside Park. This was the family business that they operated with their sons during the summer months. Domenica continued to operate the business for another five years following her husband's death in 1984. In addition to her husband and her parents, Domenica was predeceased by her brothers Gaetano (Thomas), Salvatore and Vito, as well as her sisters Teresa and Francesca. and son Cav. Dr. Thomas A. Rossi, her sister Maria Farano and many loving Nieces, Nephews, Grandnieces and Grandnephews. Also her beloved pet Shadow, who always stayed by her side. Funeral from the Galante Funeral Home 54 Roseland Ave Caldwell on Wednesday at 8:30AM.